Our group starts tomorrow Jan 21 and we will jump in with two feet! 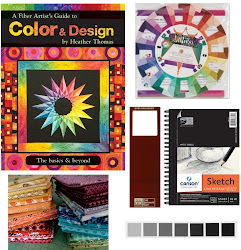 We'll do introductions, overview of color concepts, look at the color wheel, talk about Value and jump into workshop #1 in the book - using Neutrals. We'll also do a value exercise and have a give-away.